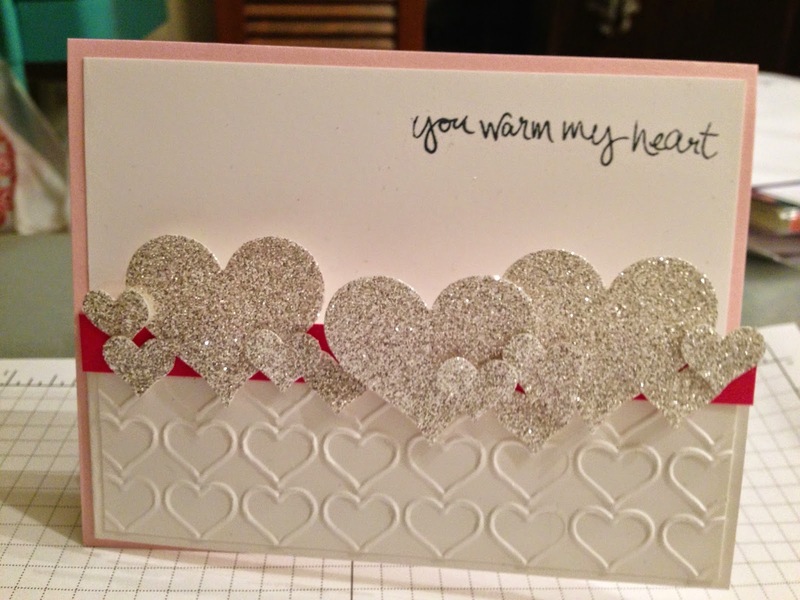 I saw a similar layout card on Pinterest recently. The artist had used a row of pretty flowers instead of hearts. I thought the hearts would be fun in honor of Valentine's Day. The white layer is cut 4" x 10 1/2". Then a 2" section is removed. 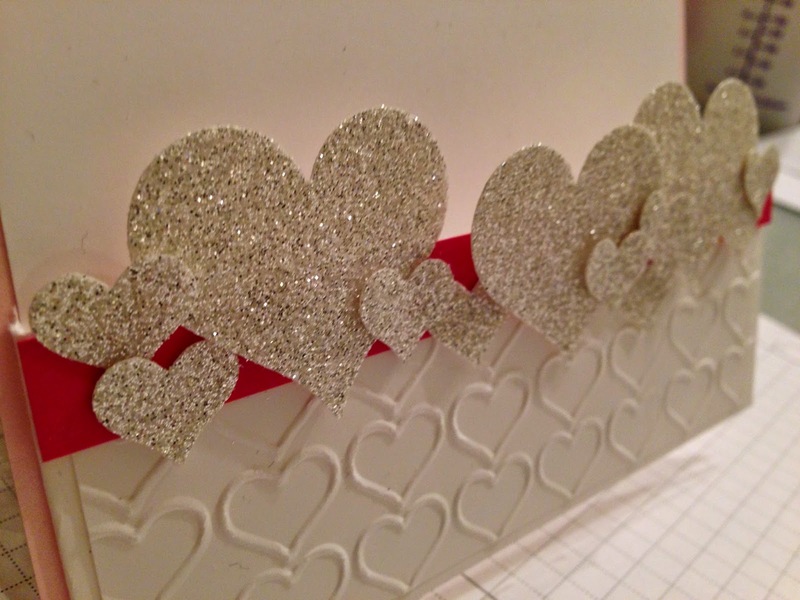 I was then able to use that section and trim it down for the hearts TIEF (Textured Impressions Embossing Folder) layer. Talk about making use of your scraps! Not big on Valentine's Day I sure keep using this TIEF again and again. I am not sure I will be putting it away after February 14th either. I can see using this layout for many things. A row of Easter eggs. A row of pumpkins. A row of Christmas trees.